Robert Hedblom has a well-known System Center and cloud MVP profile. He is often seen as a presenter or speaker at large global events, such as TechEd, Ignite, System Center, and Azure gatherings. Within his line of work at Lumagate, he delivers scenario-based solutions in complex environments, empowering the Cloud OS strategy from Microsoft.Backup, restore, and disaster recovery have always been a part of Robert's work, and now, he is trying to make a point that it is not about the implementation of different products that matters anymore, it's all about building cost-effective, optimal, and well-designed services. 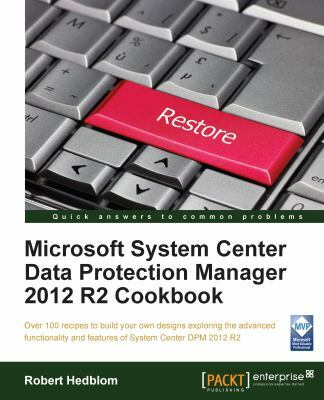 "All good designs come from knowing your data services' dependencies" is what Robert believes in.Robert was a coauthor on Microsoft System Center Data Protection Manager 2012 SP1, Packt Publishing, and has also written other books and given training. His expertise is often utilized by Microsoft's MCS and PFE organizations in Europe, and he is an elected member of the development process of the System Center stack and Azure at Microsoft Redmond.